Below are the tracks from Amy's last CD. 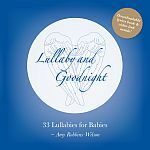 Click on any title below to listen to lullabies for free. Once you start the music, it will continue to play the albums until you stop it. Want a copy to go? You can also buy the MP3s. Want CD quality sound? The CDs are available from Amazon. While Amy’s voice is beautiful in the MP3 format, it is truly glorious at CD quality. It is hard to describe the difference in the sound quality. The music is fuller, richer and has more depth on the CDs which is why they also make such a special baby gift. Just click on a title and then take a few minutes to sit back and relax with your baby and enjoy the music together. Do you know a new mom or someone who's pregnant? 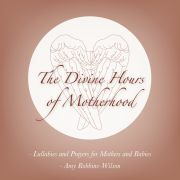 If so, this gentle album is a wonderful gift for both mother and baby. 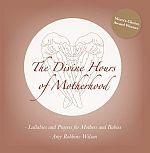 Just click the link below to by from Amazon.